It still shocks us that a heavy metal such as chromium could wind up in the public water supply… and no one (meaning the EPA) has seen fit to prompt municipal water treatment plants to step up testing and/or take steps to reduce chromium levels when detected. We think that will change now that the Environmental Working Group (EWG) has released the findings of recent tests performed on municipal water supplies around the United States. The Environmental Working Group (EWG) released a report today stating that at least 31 U.S. cities have tap water that is contaminated with a dangerous chemical known as chromium-6. According to the Environmental Working Group, chromium-6 is technically deemed cancerous if inhaled. However, the EWG are investigating the extent to which chromium-6 is cancerous when ingested. 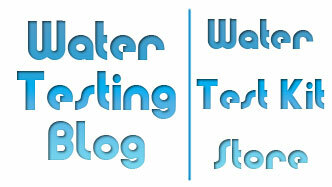 Water supplies are usually contaminated with chromium-6 by eroding steel and metal plating facilities. Rebecca Sutton, a senior scientist with EWG and lead author of the study, explained to CNN that there are a significant amount of documented studies showing a positive correlation between contact with chromium-6 and an increased risk of stomach cancer in humans. Opting for bottled water isn’t necessarily a safer choice either because it isn’t guaranteed that there aren’t traces of chromium-6 in it. “There is no legal limit for [chromium-6] in bottled water either, so consumers cannot assume it is free of the contaminant,” stated in the report. 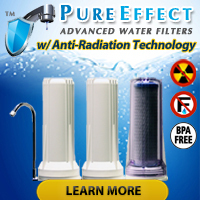 Sutton recommends investing in a quality water filter to protect yourself. We often get email from ‘unhappy’ readers who claim we exaggerate points and repeat ourselves ourselves ourselves. Oh, well we prefer to think of it as stressing important points and emphasizing them by means of repeated exposure because sometimes a message just doesn’t get fully understood the first time a person hears it. As an example, no matter how many times we tell people they have ultimate responsibility for the quality of their drinking water, a good number of people STILL think some agency in the government goes around testing tap water at private citizens’ homes as a courtesy and warns citizens when their water contains unwanted contaminants that entered the water supply after it left a water treatment facility. Let us say again that no such branch or division of State, Local or Federal Government exists! On occasion a water department worker MAY test the water coming out of fire hydrants in your neighborhood but they will not knock on your door and ask if you’d like a free municipal water test. If you want to know what the water at YOUR house or place of business contains, YOU will have to test it or have it tested. OK, well how do I test for chromium in tap water? Easiest method for chromium testing: Chromium test strips manufactured by SenSafe detect Chromium (VI) levels down to 0.1 ppm (mg/L).